The mayor of Baltimore announced that she gave “those who wished to destroy space to do that …“. Are you serious? And tonight, Monday, April 27th, the Baltimore Orioles cancelled their game due to violence concerns. … and new baseball commissioner Rob Manfred suggested the series could be played elsewhere. I guess they did, since the mayor is going to give criminals free rein in the city. There is much we need to know about the situation that led to Freddie Gray’s death this weekend in Baltimore. Why was he not given medical attention? Why was he running from police? Why was he seated, unbelted in a police van, for a 30 minute ride through the city? Just to mention a few. But we don’t have that information yet. No facts, just media hysteria and mob violence. Protests and riots are not the same thing. Protests are legal, riots are not. Non-violent protestors should be given every latitude for their peaceful demonstrations. Rioters and looters should be stopped with as much force as necessary. And instigators like Malik Shabazz, president of Black Lawyers for Justice, a Washington, D.C.-based group that called for the demonstration and advertised it on social media, should be held accountable for all the violence and property damage. 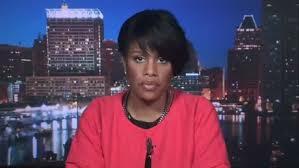 Thinking like this from Mayor Stephanie Rawlings-Blake is why we are losing our grounding in this country. And why it is not safe to play a simple baseball game in the city.